Budget Dry is based in Killingworth, Connecticut and has been recognized as Connecticut, NY, and Western MA’s leading basement waterproofing and foundation repair company. We are passionate about providing the absolute best service to each home and homeowner we serve, because we understand just how important your home is to you. We pride ourselves on our excellent customer service and on our use of cutting edge industry technology to keep your basement healthy and dry for generations. 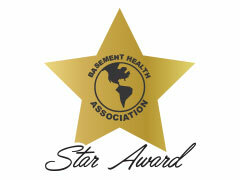 Budget Dry Basement Waterproofing is a leader in Basement waterproofing and basement restoration. Our expert technicians ensure that every basement flood, leak, or crack, is evaluated thoroughly to ensure that we provide you with the best solution. Every facet of our business has been built on the foundation that safe, healthy practices and good customer service are the two most important aspects of what we do. It is not just homeowners that we serve however, we also provide our commercial customers with exactly the same amount of care and expertise. To deliver the highest quality service and customer satisfaction by providing the best possible solutions to foundation problems. Our dedication to industry leadership and continued employee development ensure that our clients benefit from the best solutions in the industry. We bring the collective pride and dedication to customer satisfaction that only a local, family owned and operated company can provide. 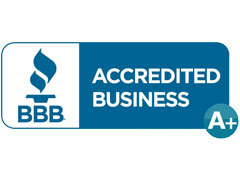 We hire, train, and educate responsible and professional employees that set us apart from the competition. 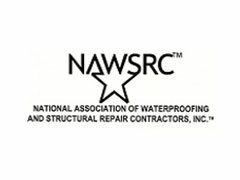 Our personnel undergo continuous training in the latest technologies and methods utilized in the foundation repair and waterproofing industries. Our staff members are professional, knowledgeable, personable, and attentive. They have the resources to get you the answer you need when you need them. Before work begins, our Project Managers thoroughly evaluate your specific needs and budget, then offer proven, sensible solutions with all the costs spelled out in detail. Once underway a dedicated Budget Dry foreman conducts your project and will keep you up to speed with the job’s progress. They are there to remain accessible should a question arise and to ensure your projects prompt completion. Thank your for visiting us today and we hope to serve you in the near future.